On the Jeep below it only takes a couple of big folded beach towels. On your car it may take more effort to get the height, but this prep item will still save time and avoid connector problems. The MyGig system is always powered . . . even when the ignition is OFF. 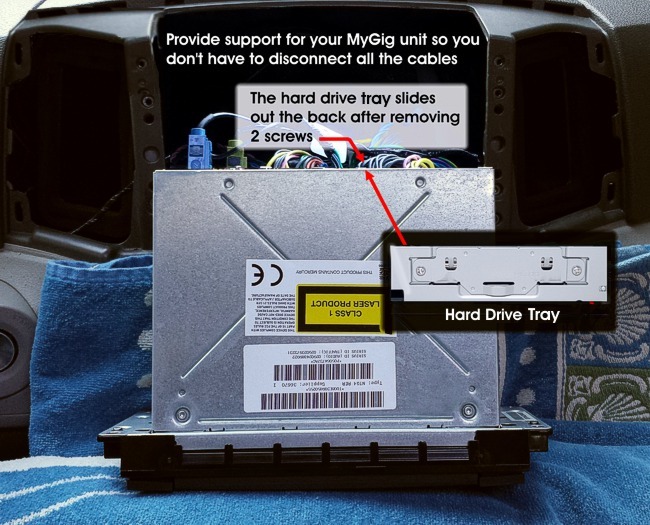 Your car battery should be disconnected when you remove or install the Hard Drive.